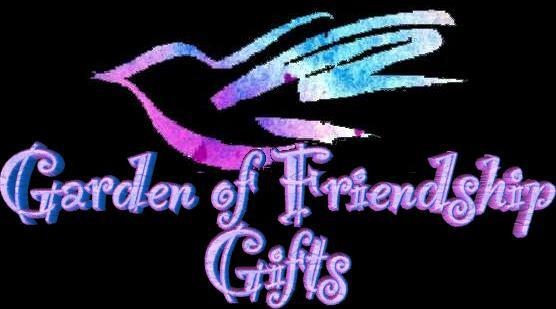 Garden of Friendship members and committees are very thoughtful and talented! Sometimes they give you "something special" just because they want to, or think you are special, or the committe you are on is. This is the page these wonderful little surprises reside. Each is linked to the giver/s as appropriate. Refer to the Miscellaneous Section above for Adoption Gifts. 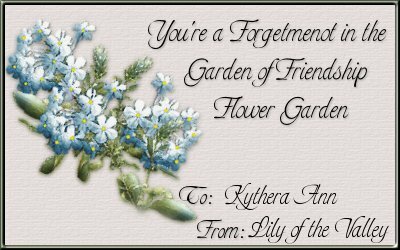 "Kythera has the intricate spirit, the sweetness and the beauty of a rose. 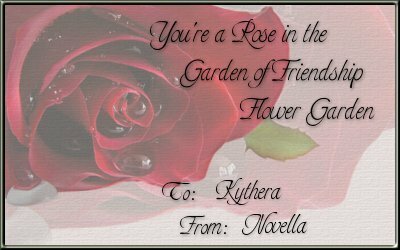 When I think of Kythera, I think of a rose!" "For being a wonderful new friend that made me feel so special. Thank you my dear friend. " "Yes, indeed, you are special. There is only one of you in this whole wide world, and that means you are a fabulous gift to the rest of us! Stand tall today, and remember how wonderful you are." You are a total joy to me. The links at the top of this page are all to various pages in this Garden of Friendship Dedication section. The links at the bottom of the page are to the rest of my site, Peaceseeds. You will find the same layout of navigation on all the Garden of Friendship pages in this site. Thank you for stopping by. I hope you sign the guest book before you leave. The link is at the bottom of the page. Also, please take the Peaceseed graphic at the bottom of the page for your site. It is my gift to you. Remember, if we want peace in the world, we must be at peace in all our interactions...it always starts within each of us! Browse the links below to visit my main site which is focused on the commonality of the various religious traditions. May we focus on those things that connect us, and realize that differences are the unique expressions we use to praise and explain God. May our wider understanding lead to tolerance and peace in all our interactions. Peace Seeds should grow. Feel free to take this graphic and link it to this page as an action to make the world more connected.